The Movement for the Actualization of the Sovereign State of Biafra, MASSOB, has warned the former Minister of Defence, Gen. Theophilus Y. Danjuma and Oba of Lagos, Oba Rilwan Akiolu to stop making cynical statements against the Igbos and their leadership. A statement issued by MASSOB leader, Chief Ralph Uwazuruike said that MASSOB would not keep its hand akimbo and watch the name of its founder being dragged to the mud in the name of playing politics. Chief Uwazuruike was reacting to a statement credited to Gen. Danjuma that the Nigerian /Biafran Civil war was prolonged because the Biafran warlord, Late Dim. Chukwuemeka Odumegwu Ojukwu, did not concede victory when Enugu fell. The MASSOB leader said that Gen. Yakubu Gowon refused to abide by the Aburi Accord because people like Gen. Danjuma advised him not to abide by the accord and thereby prolonged the war and caused the blood flow. 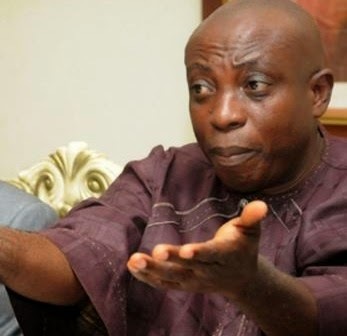 Uwazuruike who spoke through his personal Assistant and the Nnewi North Regional Administrator, Emmanuel Omenka said, “he has been insulting Ojukwu, what is the concern of Ojukwu in the conceding of victory to General Mohammadu Buahri (rtd) by President Goodluck Jonathan”. “If Danjuma and his cohorts did not support Gowon, the war would have been averted”, he declared. On the statement which was credited to the Oba Rilwan Akiolu of lagos state that Igbos in Lagos would perish in the Lagoon within seven days if they failed to vote for the All Progressive Congress, APC gubernatorial candidate, MASSOB reiterated that the Oba’s threat was that of a dreaming man. “The threat is null and void and of no effect because the Oba has no such power to threaten Igboman”, he stated.